After many months of planning, work and a lot of construction work, we are delighted to announce that we have moved into our new building. We’re now on Roundwood Industrial Estate, just off the A638 Dewsbury Road and close to junction 40 of the M1. The new shop is more than double the size of the old shop on Calder Vale Road and our office, store and workshop are all significantly more extensive as well. We believe that our new security shop is one of the biggest in Yorkshire. 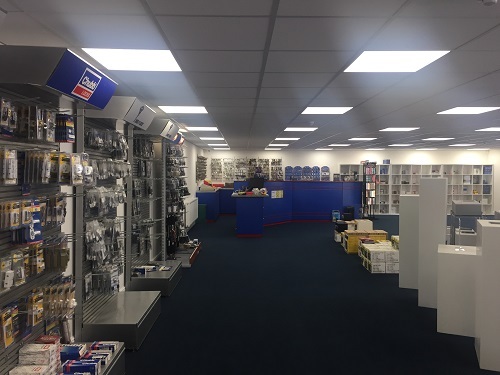 We’re open for business as usual so please feel free to drop in for key cutting, lock and safe sales and advice on a range of security issues. We’re holding an open day on Saturday 9th July where we’ll be here to show people around the new facility and we’re offering household key cutting for just £1 per key*. We also have reduced prices on non-household keys as well so it’s really worth coming down if you need any keys cutting. We’ll be open from 10am to 2pm. Our new address is Unit 2B, Roundwood Industrial Estate, Wakefield WF5 9SQ. All phone and fax numbers remain the same. For customers, our new shop means more choice, better availability and plenty of free parking right outside. It’s also really easy to get to being off a main A road and so close to the M1. You can see full directions on our contact page.